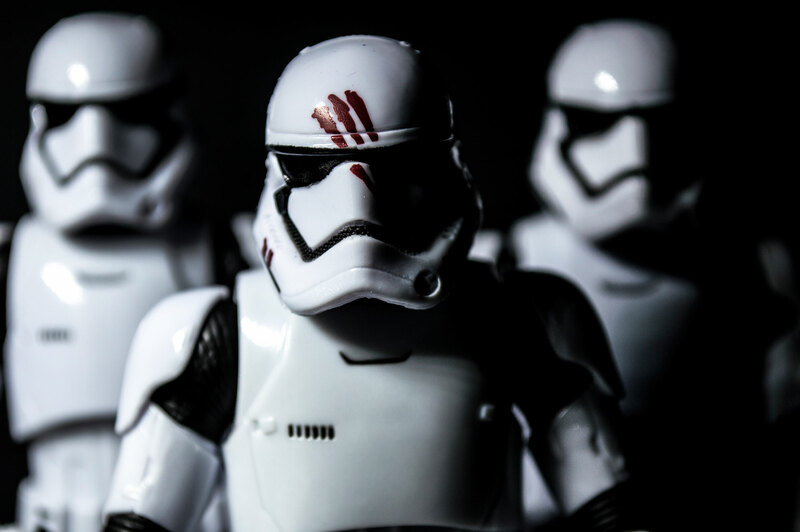 There’s something of a toy photography boom happening at Instagram. And not just “here’s my shelf” pics. No, these photos of toys experiment with focus, depth, motion, action, real-world settings, and practical and digital effects. In a word, they’re art, and they’re really kind of incredible to boot. 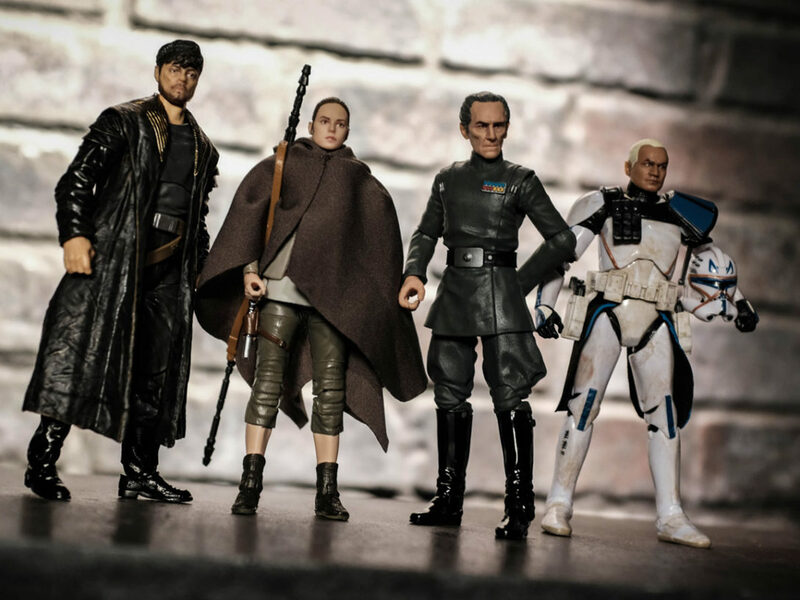 And Hasbro, makers of the Black Series — a highly-detailed line of 6-inch Star Wars figures — noticed. 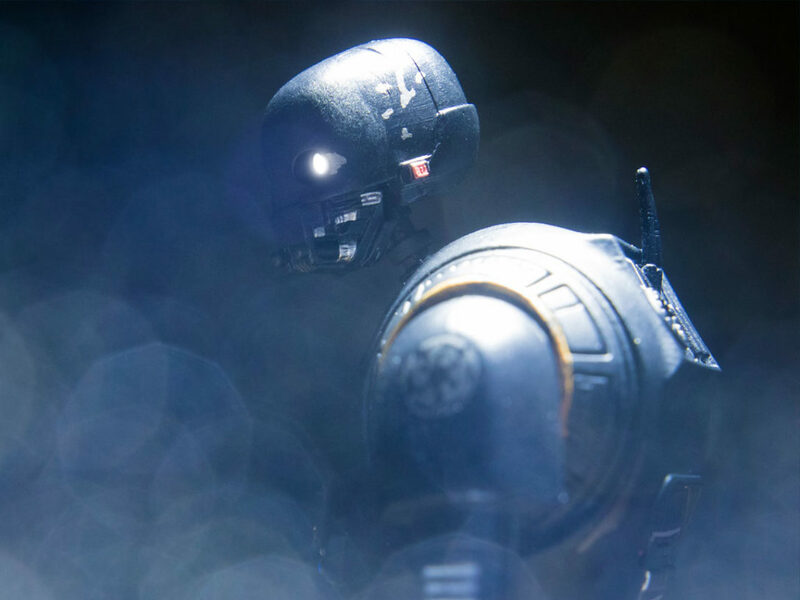 The company launched #HasbroToyPic, asking fans to recreate scenes from Star Wars: The Force Awakens using the Black Series, and the best are set to be featured in a special timeline on display in Hasbro’s booth at San Diego Comic-Con. Among the photographers with submissions selected is Spencer Witt, a.k.a. @swittpics, whose work manages to be visually arresting and tell a story at the same time. 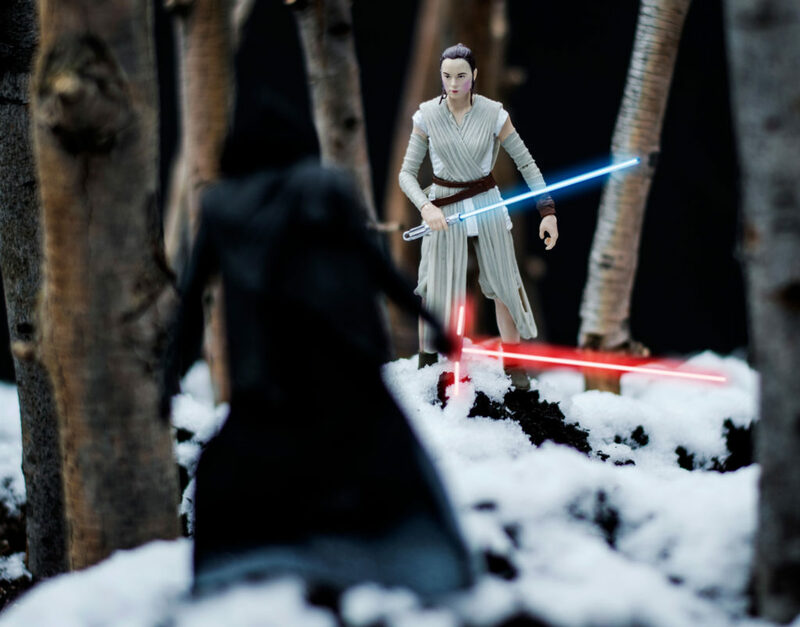 StarWars.com called Witt to discuss his toy photography awakening and find out how he crafted his Force Awakens pics. 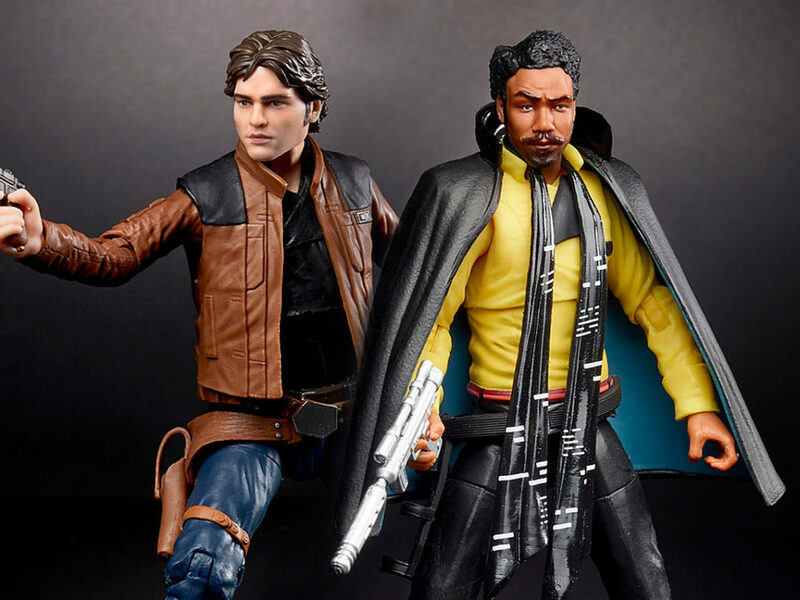 StarWars.com: How did you get into shooting action figures? Spencer Witt: It started off last fall. I just started following photographers on Instagram. So it was right before Force Awakens was coming out. I found some cool toy photography accounts and I was just following them. I thought it was cool and then I wanted to get my own and start doing it. I didn’t really start doing it until the start of this year. So yeah, I’ve been going ever since about January. StarWars.com: Were you interested in photography before that? Spencer Witt: I’ve always been interested in photography. I have more of a background in nature photography. My older brother does a lot of nature photography stuff, so the last few years I’ve been into photography [through his influence]. But I kind of took a break from it. I didn’t do a whole lot of it because he was always better. I just started seeing people taking photos of toys and I was like, they actually look real. With the movie coming out and rekindling all of my inner Star Wars fandom, I just wanted to start doing it. StarWars.com: Were you a toy collector, or did this also spur that? Spencer Witt: This also spurred that. [Laughs] Growing up I had all the action figures, but I only started getting these figures recently. StarWars.com: On your Instagram profile, it says you mostly shoot the Black Series. What do you like about the Black Series and why do you think it’s particularly good for photography? Spencer Witt: I like the Black Series. For the price, for a $20 figure, they look really good and they’re more available. Starting out collecting, there are a lot of other brands out there, but they’re a lot more expensive. This is what the other people were shooting. They have pretty good articulation, they look pretty good. That’s probably it. 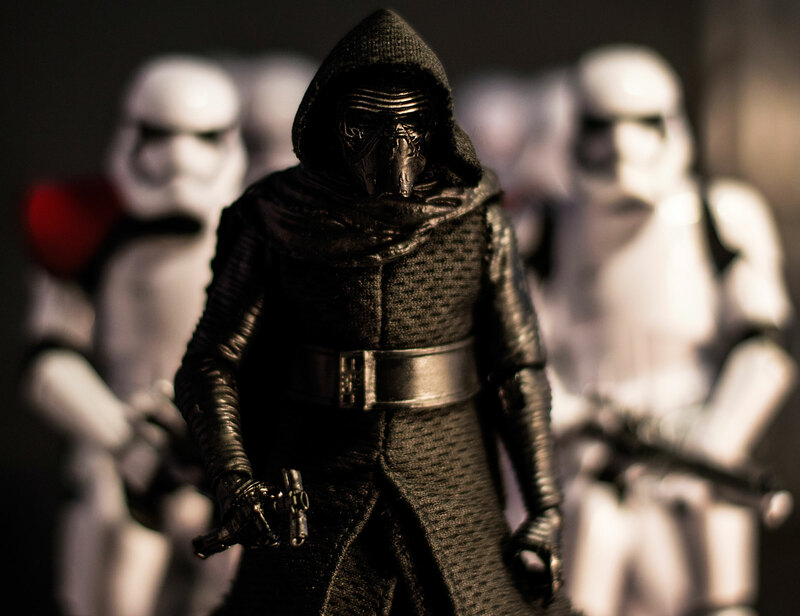 Their detail, especially the bad guys, ones in armor — the stormtroopers, Kylo Ren, and all the other bad guys — they look pretty good and it’s hard to tell they’re toys, at times. If you can get it right, in the right location and scaling, you can make them look like scenes from the movie. That’s what sparked my interest, because I thought they looked really cool. Other people were doing it, and I thought, “These look really cool,” and I wanted to see if I could do it, too. 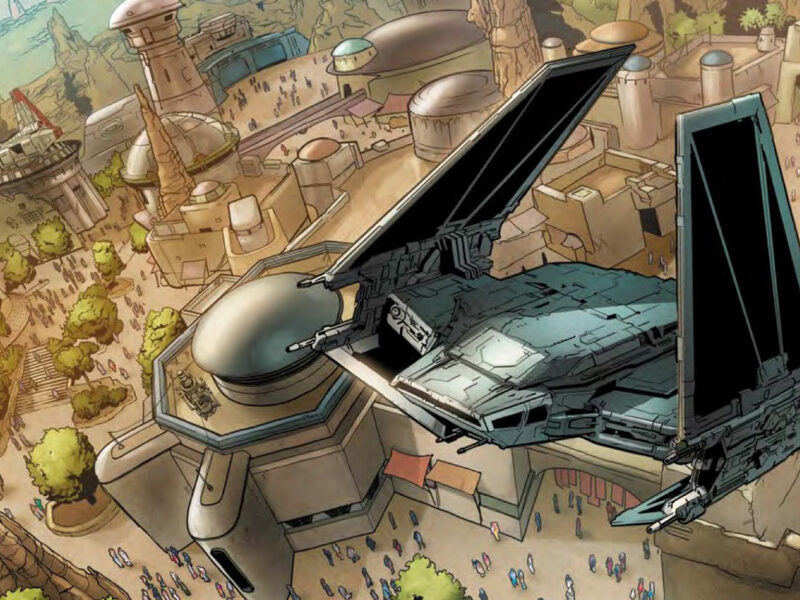 StarWars.com: When you started, was it harder than you thought, or were you able to jump in and get what you were picturing in your head? Spencer Witt: It’s funny, because I’ve gone back and looked at some of my earlier posts, and they’re pretty good. But it’s hard to do. They’re 6-inch figures, and it’s hard to get lighting right. I mean, I didn’t have much experience doing indoor photography until now, and it’s hard to get lighting right and other aspects right. You have an image in mind when you set up the figure and want to do it. At first it never goes as well as you plan. But when I was posting my first pictures, I liked them, I thought they looked pretty good. I think I’ve gotten better over the few months, trying new techniques from what other photographers are doing. StarWars.com: The nice thing about photographing toys as opposed to people is they don’t get tired and, as long they’ll stand up, will do whatever you want. Spencer Witt: That’s true, but it’s hard to get them to stand up at times. [Laughs] Sometimes you have the figure in the right position, and you go to take the photo and they’ll fall over, or the wind will blow. 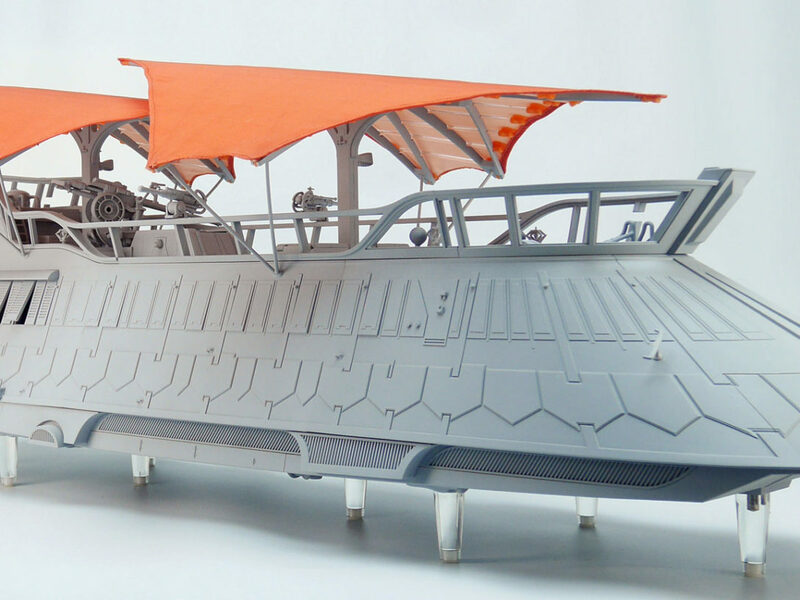 StarWars.com: I want to talk about the pictures you submitted for the Hasbro competition. It looks like the one that will be on display at Comic-Con is the one of Finn with the stormtroopers behind him. Can you talk about where the idea came from and how you approached it? Because there’s definitely a mood with the shadow and the lighting and the troopers behind him. 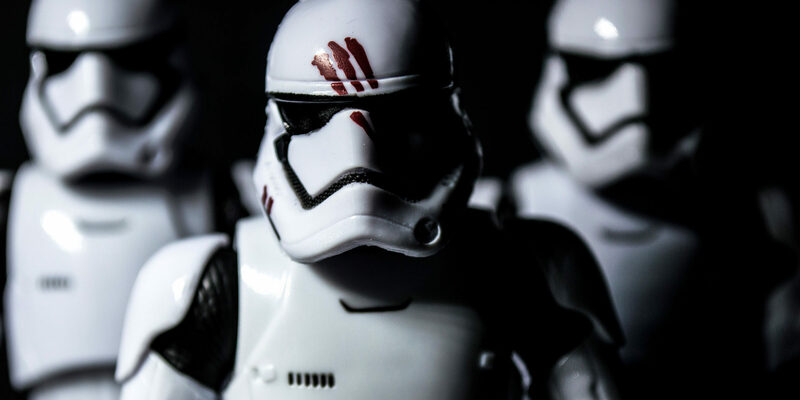 Spencer Witt: I had just gotten the FN-2187 figure, where he’s in the stormtrooper outfit with the blood on his helmet. He’s a really cool figure, he’s just like all the other stormtrooper figures, but he has the blood on his head. It’s only the beginning scene where he has the blood stripes on his head. There aren’t that many scenes with him in that helmet, and we’ve seen the movie, so we know what happens. I was trying to think what was going on in Finn’s head at this point. He just saw the massacre at Jakku, had the stare down with Kylo Ren, and he’s on the shuttle going back to the Star Destroyer with these other stormtroopers, and it’s like, “Well, what’s he thinking?” I wanted to do the lighting where part of his face was dark, the other side was light, just to try to get the emotions. He’s toying with this in his mind — what’s the light, what’s the dark? … So I tried to capture that moment where he must be going through a lot of different emotions and not sure exactly what’s going to happen and what he’s going to do. 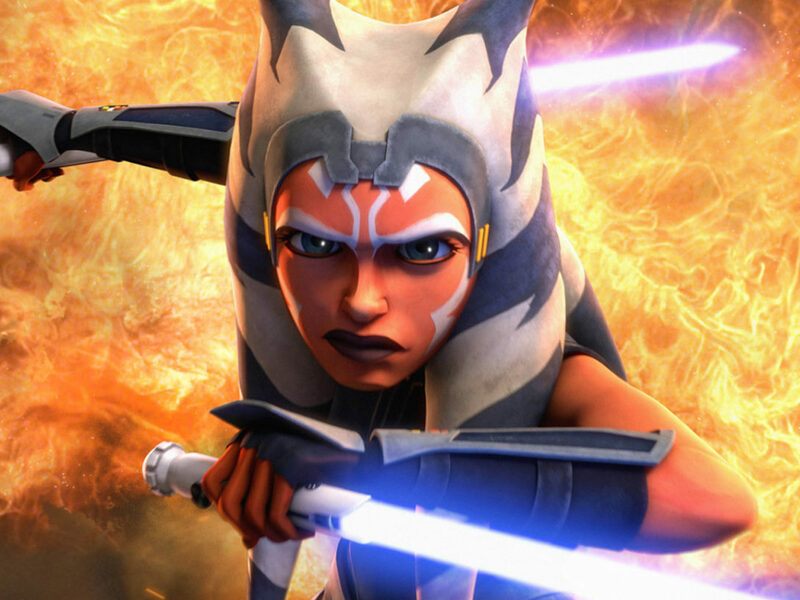 StarWars.com: The point of focus is interesting, because you manage to just get the head in focus. Even his lower body is blurry. Was that intentional, or did you just happen upon it and like the way it looked? Spencer Witt: I kind of wanted to focus more on their upper bodies, just on the head, because that’s kind of the distinguishing feature. I wanted their helmets and upper body as the focus, because the three bloodlines, that’s the main focus [that draws your attention]. 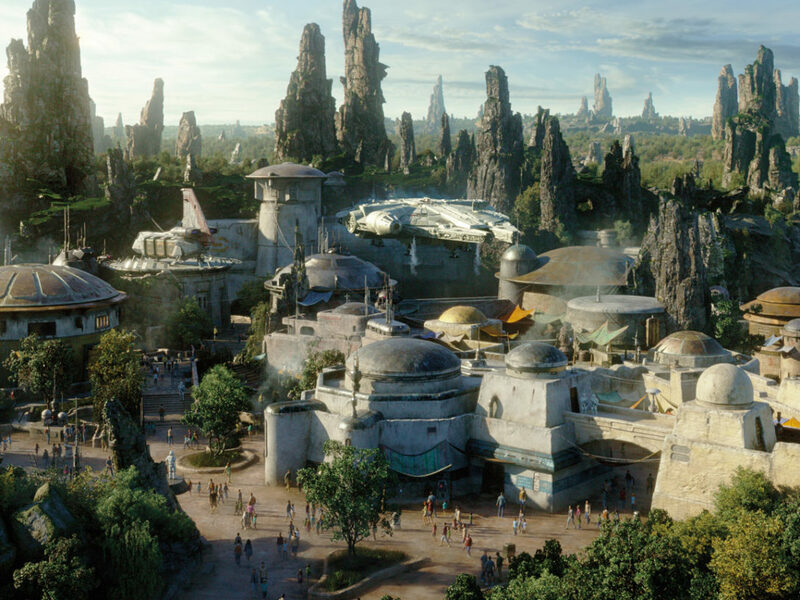 StarWars.com: There’s also the one with Rey and BB-8 out in the sand. Spencer Witt: My brother was getting married in California, so I took a handful of figures with me to get some sand pictures. I’m from Utah and so we don’t have beaches here. I knew I wanted to capture this picture, where it’s Rey walking with BB-8. 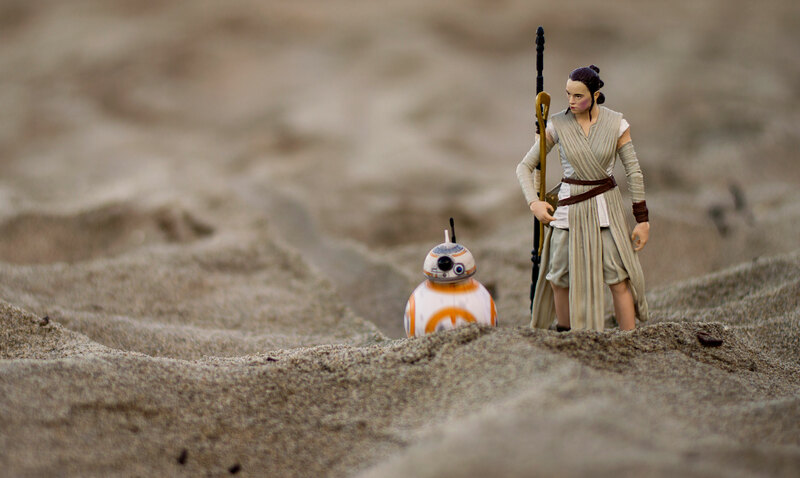 We went to the beach one of the mornings, I pulled them out and dragged BB-8 along so it looked like he had moved, there’s the different mounds, and I was able to capture the photo. I thought it looked pretty cool. 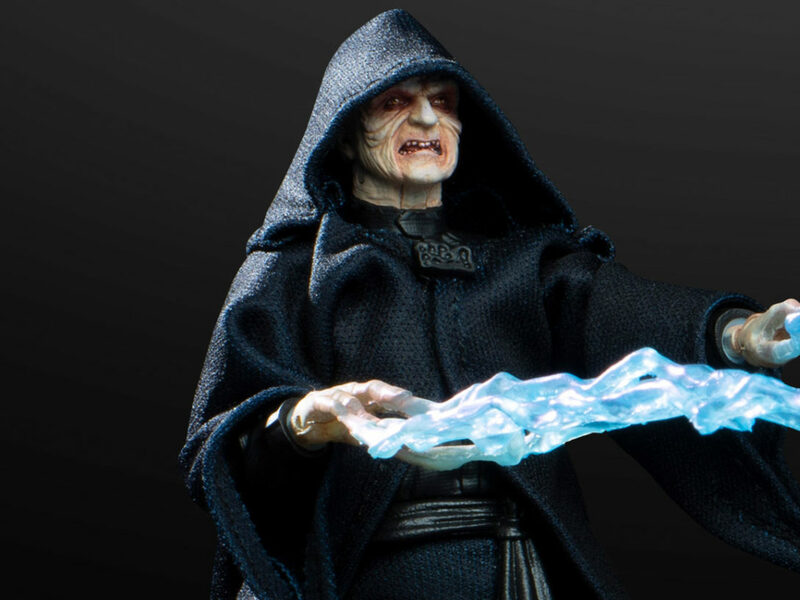 StarWars.com: So you don’t mind getting sand all over your figures and maybe ruining them. It’s worth it for your art. StarWars.com: What about the duel in the snow? Did you wait until it actually snowed? Spencer Witt: Yeah, it had actually snowed. I live in Utah, and so it’s snowed quite a lot this year, which was good. I’ve done several other photos with Rey and Kylo in the snow, but I’ve never had Anakin’s lightsaber until they released the Luke farmboy [figure] from Episode IV a month or two ago, and I got that. So I posted pictures with Rey and Kylo dueling, but I never had the correct lightsaber. Once I finally got the right lightsaber, I wanted to do [new] photos, but this was about the middle of March and most of the snow had already melted. Then one morning, it had snowed the night before, and so I knew it would melt by the end of the day. So I ran out to the backyard. StarWars.com: How does it feel to have your photo on display at Comic-Con for everybody to see? 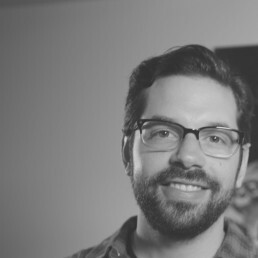 Spencer Witt: I never thought in my wildest dreams that my photo would be at Comic-Con or I’d be talking with someone from Lucasfilm. All from this little hobby I started a few months ago.